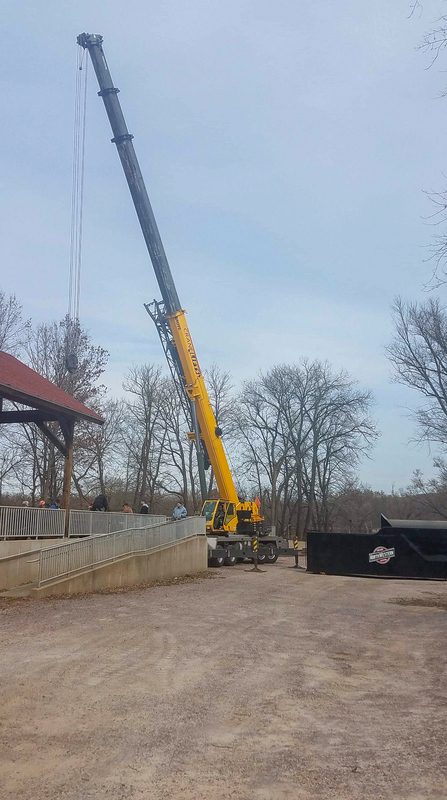 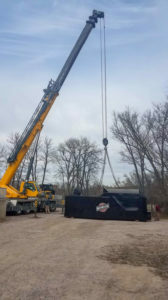 On October 25, 2018 a team of cranes were at Mid-Continent. 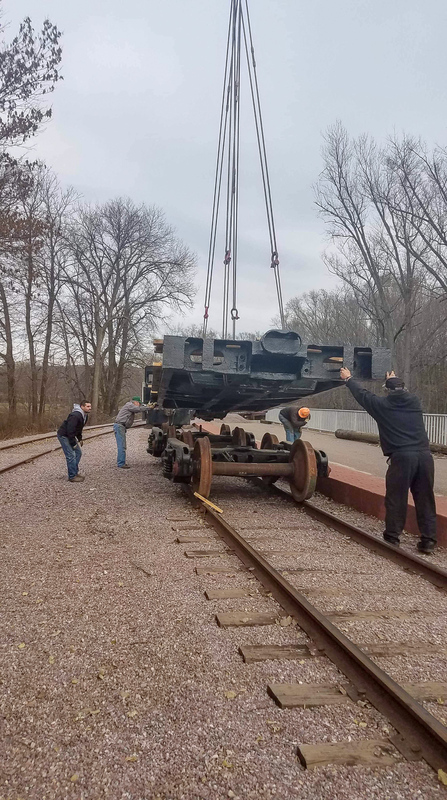 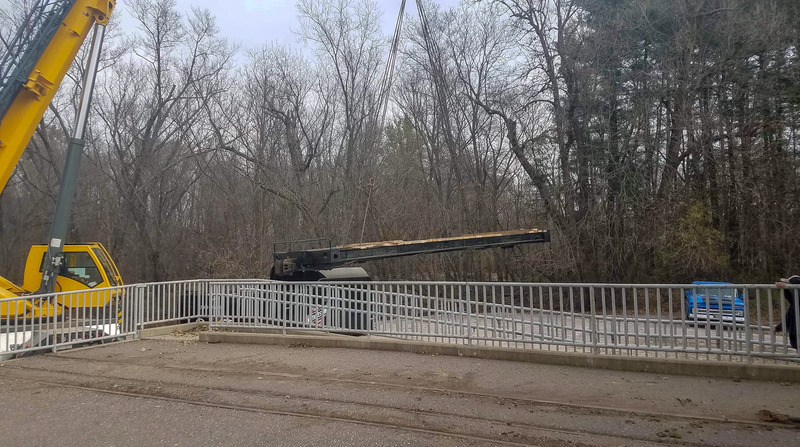 The cranes were primarily there to install locomotive #1256’s new wheels, but the 1385 Task Force took advantage of the presence of the cranes to move Chicago & North Western #1385’s tender to live track. For the past five years, ever since arriving from the fabrication shop, the 1385’s tender has resided on an isolated display track along the passenger platform. 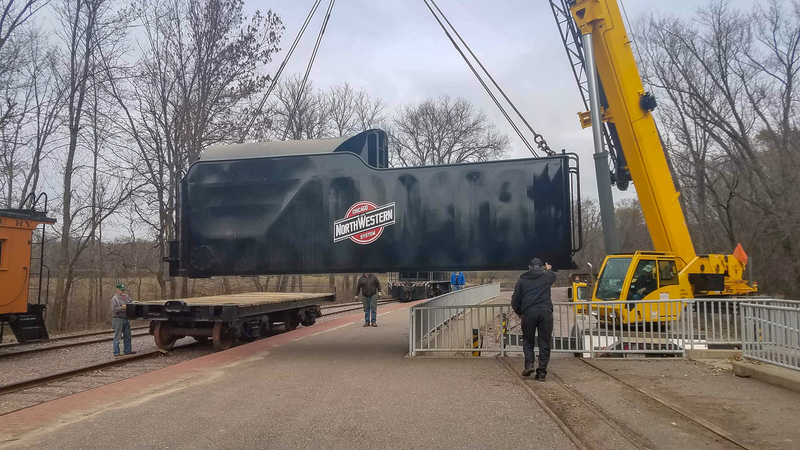 The covered platform display area provided a cozy home for the tender where the public could learn more about the restoration while the locomotive itself was overhauled off-site. All photos courtesy Richard Colby. 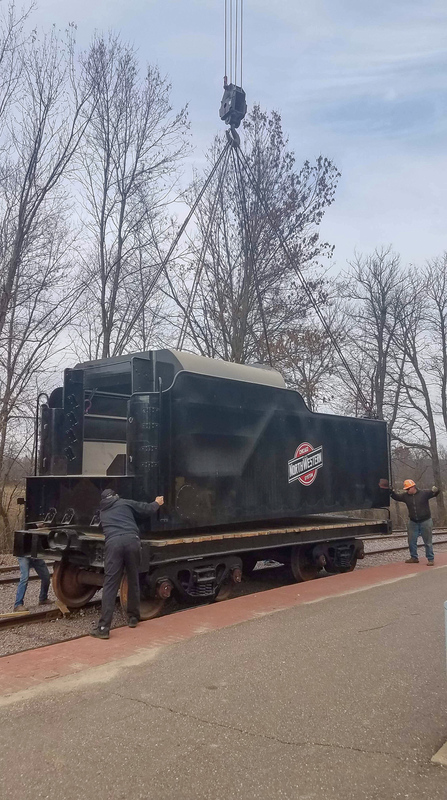 With the boiler nearing completion and reassembly of the locomotive’s major components set to begin in the coming months, it was a good time to also prepare the tender for the locomotive’s eventual return. 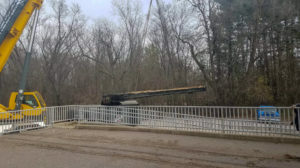 Volunteers and members of the crane crew set about removing the tender from the shelter. 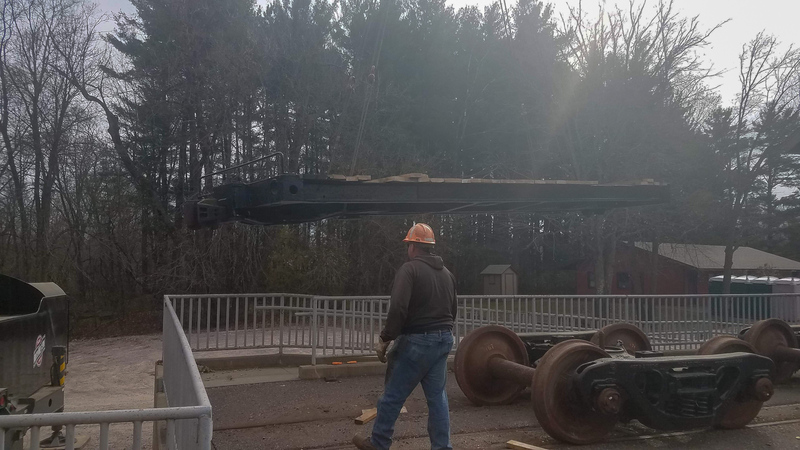 First it was chained to the museum’s Lull forklift and towed out into the open where the crane could get at the tender to disassemble it. The trucks were then moved to the museum mainline and the tender reassembled. 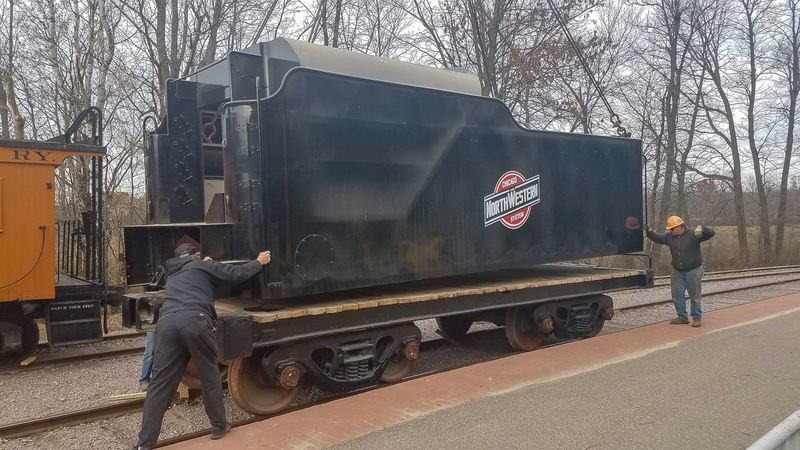 Once done, Mid-Continent’s yard switch engine, MCRY #4, coupled on and took the tender to the museum’s Engine House. 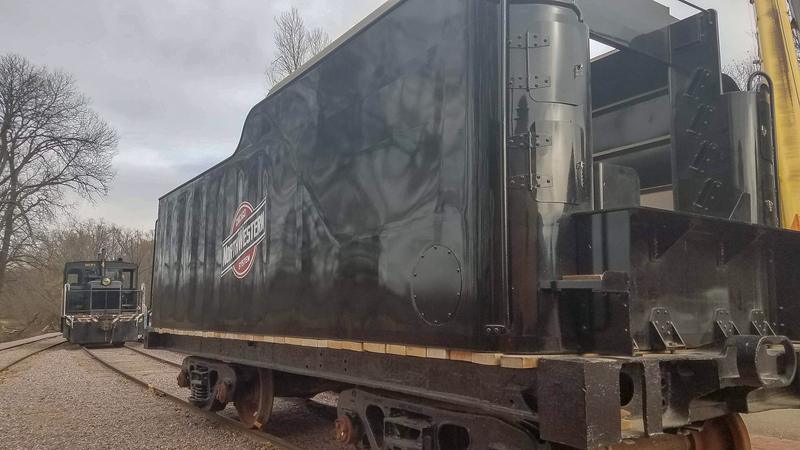 The tender, mostly while mostly complete, still has some finishing touches needed including items such as the air brake system, steam heat pipes, and electrical systems (for reversing headlight, class lights, safety lights, etc.) 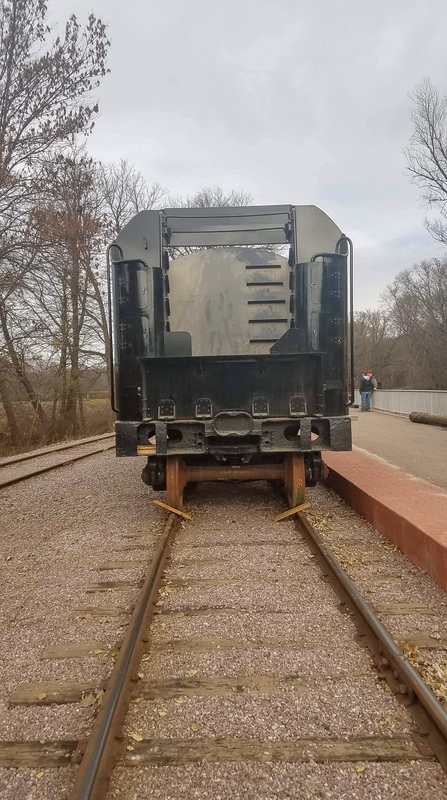 The wheels will also need to be jacked and the roller bearings inspected for possible damage from the August floodwaters.